When Noraxon came to me with a request for product photos and videos of 40 items I knew I had to create a new workflow for maximum efficiency. The two services became one. I started with a strobe set on the left for the photos and a hot light set on the right to record the video clips. I made a turntable and painted it white so I could rotate the table top when it was important to see 2 or 3 sides of that product. Tests were done to match color with both sets and test the rotation. 4’ x 4’ sheets of foam core were placed on the turntable for the larger kits. 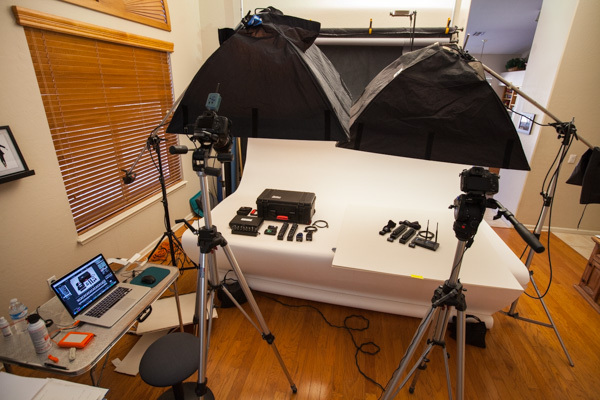 These kits with up to 30 items were set up on the turntable where both the photo and video were captured with the same camera to become even more efficient. The video was recorded and played beck in slow motion to ensure smooth motion. I created the simplified GIF below as a sample of the product videos. When you need product photos and videos go to the photographer with years of experience in each medium. The obvious advantages to 4K video are the resolution and then the ability to zoom in or pan across the frame in the edit when working in the smaller 1080 HD timeline. However, when you combine 4K video and the hybrid photographer it opens the floodgates for more creativity. I can pull a single frame and open it in Photoshop and alter parts of the video clip while allowing the other section of the clip to play normally, creating a surreal look. A still frame from the GH4 has enough resolution to be manipulated in Photoshop like any photo from a DSLR like my Canon 5D MkIII. While recording, locking down the camera has many advantages. It allows for more creativity round tripping a single frame to Photoshop and back to Premiere Pro. I am able to create more effects like freezing people or moving people in reverse. Then I bring that 4K video (3840 x 2160 Pixels) into a 1080 timeline (1920 x 1080 pixels) and add the motion of panning and zooming in or out to look like the camera was moving to follow the action in the scene. Here is a link to a video with some simple effects added. This is just one example of what can be done to the athletes in this video. Note that only some clips were shot in 4K and final output is 1080 HD. Watch the video. The sizzle helps you taste the food and just hearing a beer being poured into a glass can crank up your thirst. Most of the audio for food and beverage videos is recorded separately for the best quality and, keep in mind, there is no audio recorded with slow motion video. For the slow motion clips I formed the visuals in the timeline first. Then I knew how long the sound had to be to sync with the visuals. Watch the video. 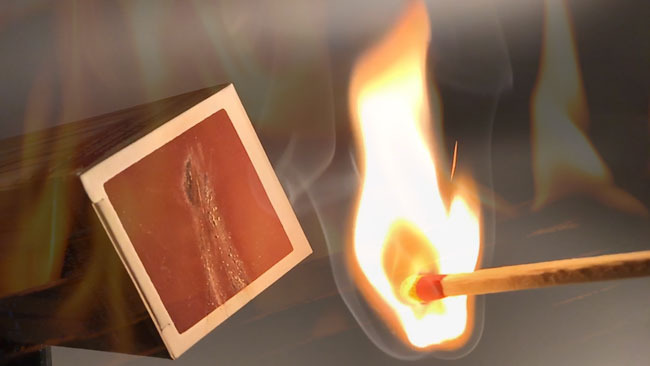 A match ignites in a fraction of a second but in this video the match took 7 seconds to ignite (1/8 speed). I slowed the speed of the audio clip to 40% and duplicated it on 2 more audio tracks with some overlap to cover the 7 seconds. The beer pour was done in a similar way. 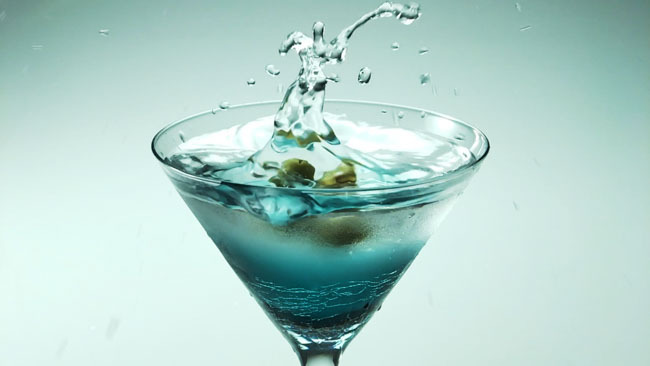 The “plop” sound of the olives dropping into the martini glass required a speed of just 35% for the audio clip. Sound is important and audio for food and beverage videos has it’s own unique chalenges. “See what you can’t see”. slowing the action of a pour or food preparation can increase the viewer’s anticipation of what it’s going to taste like. 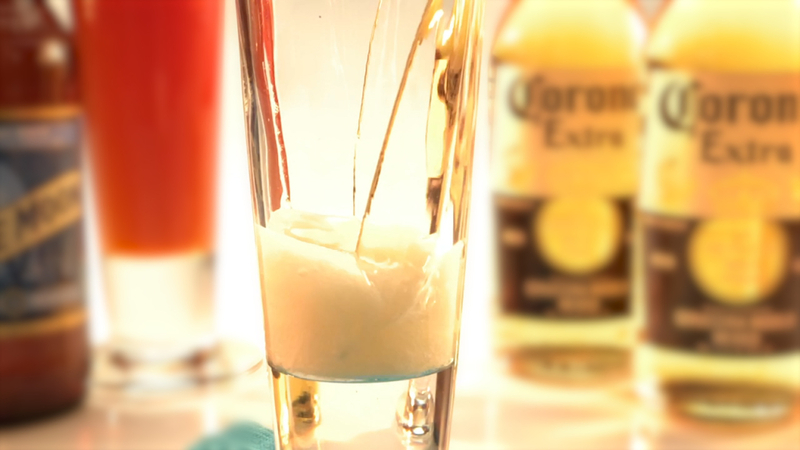 Use this visual effect in your slow motion food and beverage videos. Watch the short video here. 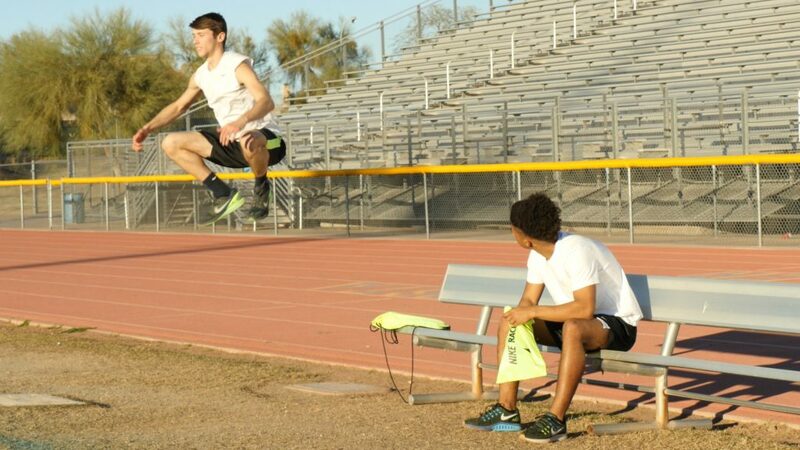 120 frames per second is good for some slow motion shots. 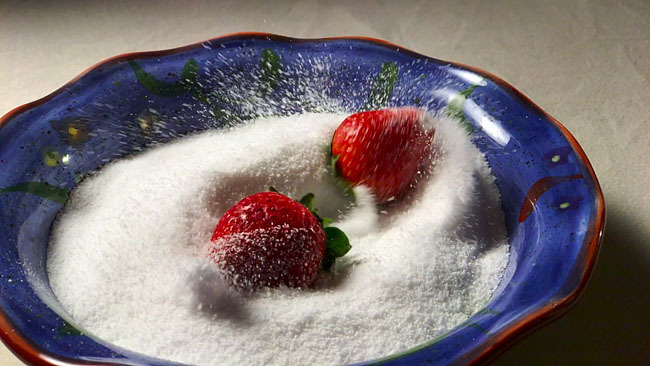 240 frames per second renders amazing slow motion but may be too slow for your viewers. Here’s what I mean. At 240 fps pouring a beer that takes about 6 seconds will take 48 seconds to play back that clip,, or 8 times as long. Your viewers will fall off their bar stools waiting for their beer. Recording at 120fps will take 4 times as long to play back the clip. This is why I record with 2 cameras for my slow motion food and beverage videos. One camera records in normal speed and I cut between the 2 views (and 2 speeds). In post I may speed up the slow motion clip and slow down the clip recorded at normal speed. The shutter speed of at least 1/240 second will freeze the action when exporting a still frame as you see in the 2 images above. Slow motion enhances any production. Did you ever hear the term “You eat with your eyes”? Food should look good. You should see the texture of the food and want to taste it. 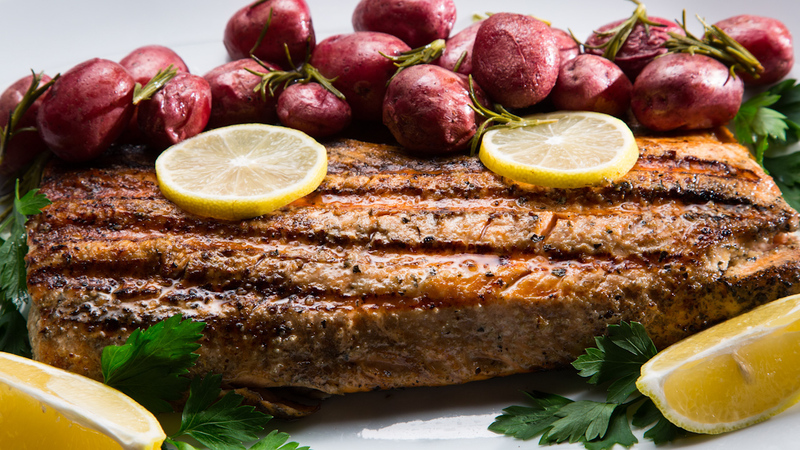 Arguably, the most important part of production may be lighting food & beverage videos. First you backlight the food. Use a soft box to resemble window light coming from behind the table. Then add a kicker light at a low angle to add texture to the food. Use a spot light or barn doors to concentrate the light on the food first, then some light can spill onto the tabletop and other props if it adds to the ambiance. Here is a link to the video. Glass and translucent beverages require backlighting to show the color of the beverage and make them glow. I will color balance the cameras to the main light which will be white. Then I add gels to the kicker and side lights to add warmth to the food and/or the table top as I did from both sides of the beer set in the above image. 1/2 CTO or a full CTO filter works well to create the ambiance of a restaurant or amber lights in a home. 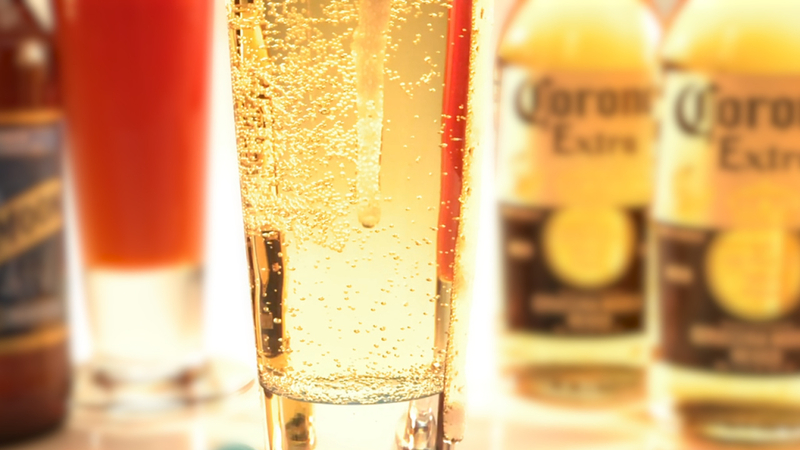 Selective focus is important to draw the attention to the food or drinks you are promoting. I will record with 2 cameras for 2 different angles for pouring beverages or when recording slow motion. I like to record the action in normal speed as well to have that option in post. In post I may also blur what is not important. I may soften some background props if they draw the viewers eye away from the featured item. Using the gaussian blur in post is important because I can match the look of the 2 cameras because the depth of field may differ according to the focal length of the lens or the distance from the product when recording. 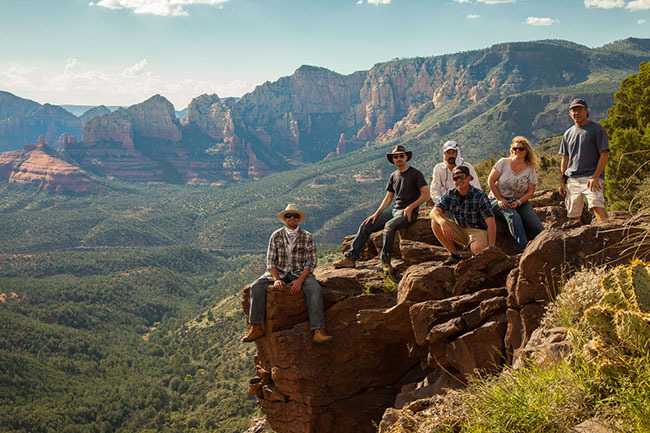 We had a lot of fun working on the productions you see in our capabilities video shooting action scenes of the UTVs on Schnebley Hill Road in Sedona, and meeting Michael Floyd, the wide receiver for the Cardinals, while filming the Vita Coco spot. You can view the demo video here. While assembling this demo video I added 3D graphics to my logo using After Effects. First, my logo was separated into 8 different layers in Photoshop. In After Effects I moved the different layers in 3D space and added a light to cast shadows and a camera with a pan motion across the text so the shadows would move. The logo layers all rotate together. I used parenting to link the logo layers to a null object that had rotation animation applied. I used alpha channels to reveal video playing through the text during the three equipment segments. At many edit points I added lighting effects using light leaks clips (flashing, moving colors) with a screen blend mode to add some sparkle to transition points. Green screen was used for two clips to composite a layer over background video. The editing skills used were mostly with the ultra key effect in Premiere Pro. Lens flare effect was added to the lighting equipment scene and it’s opacity (brightness) was keyframed as I passed in front of the light. 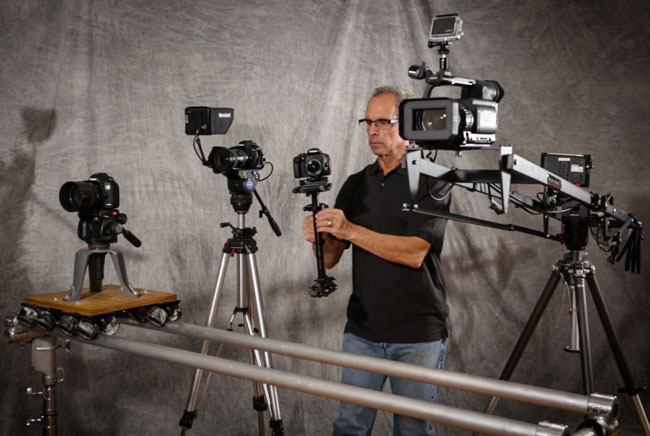 We displayed most of the equipment we bring to the production including a 10″ Kessler Crane. I used curves for color correction to match clips from three different cameras, Panasonic, Canon and GoPro. Lets have some fun with your next video. 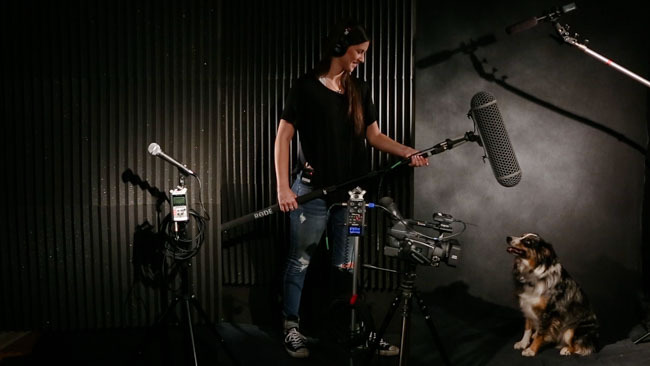 We own two Zoom audio recorders and 6 mics to record the best, clear sound in any location. We own the Sennheizer wireless system and use it to record your vocals or to send all the audio from a sound board to our recorders in a convention/meeting room. When outdoors we use a blimp and/or fuzzy rat to remove wind noise. 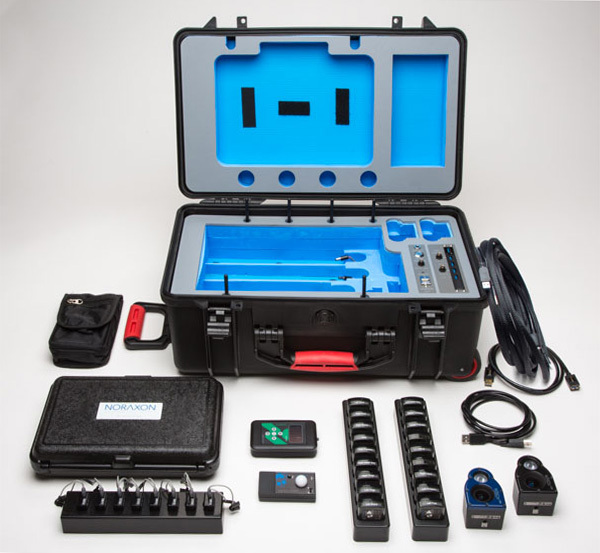 Watch our Capabilities Video. Importance of post production: For unwanted sounds that are out of our control, like air vents and noise from your work environment, we will reduce or eliminate them using powerful tools in Adobe Audition. Additional training in the “Sound Advice” class increased my knowledge of audio equipment for video recording and sound mixing. A sample of the lighting equipment we bring to the production. We have 35 years experience lighting people, product and architecture for commercial photography assignments and 9 years with video lighting equipment. We own 14 lights ranging from 200 watts to 2,000 watts. 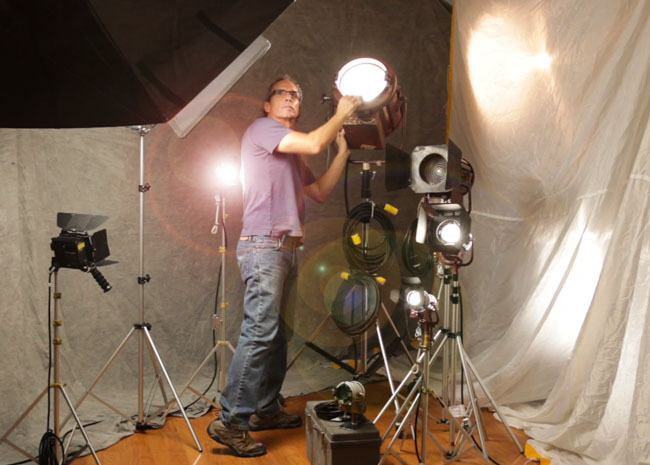 We use color gels, diffusion and soft boxes to balance and soften the light. We also use a 12’ x 12’ silk to diffuse the contrasty Arizona sun. 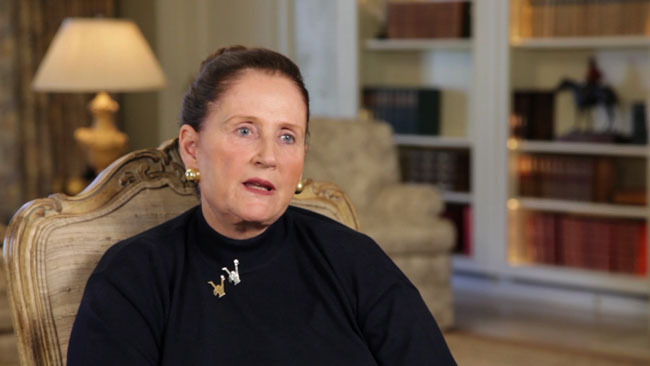 Lighting for an interview for Fresh Start Women’s Foundation. Importance of post production: In addition to global color correction, we can change the color or saturation of one element of your scene using powerful secondary color correction tools. Our cameras, the 6′ dolly, 10′ crane and Glidecam. We own four professional cameras, two Canon DSLRs, a Panasonic and, for tight or wet situations, a GoPro. The Canon cameras with the full size sensor produce beautiful images with less noise and a shallow depth of field which directs the viewers attention to the subject in focus. They are very versatile. We have one 50mm prime lens and 4 zoom lenses which cover from 16mm wide angle to 500mm. We have custom settings preset to quickly move from a controlled set to a run-and-gun situation so we won’t miss anything. We have another custom setting (flat CineStyle) for contrasty lighting on location that we cannot control. We’ll record it flat, then enhance the footage in post. Of all of the professional video camera equipment the Canon cameras are the best tool for low light situations. The Panasonic is great for recording longer events, conventions and meetings. 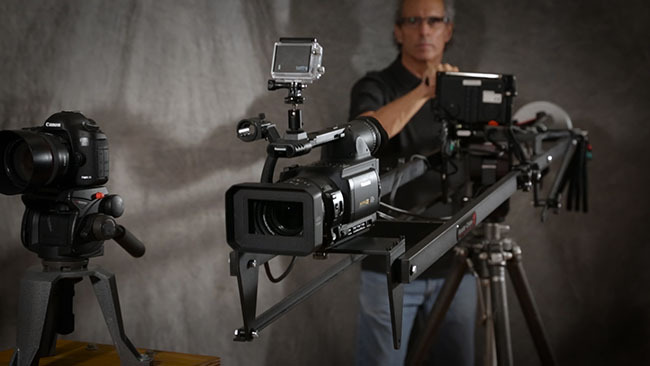 It’s also our go-to camera when we use the jib because it can be controlled from the base of the jib arm. 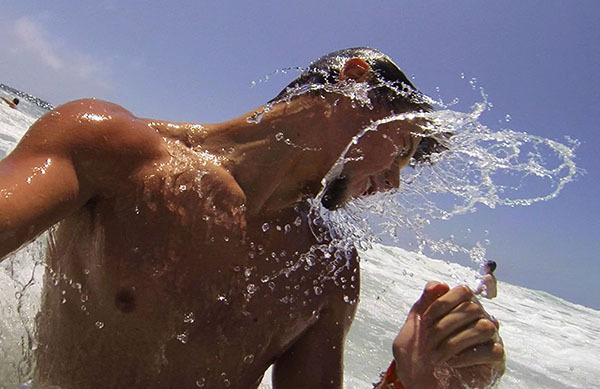 The GoPro fits just about anywhere, it’s waterproof and shock resistant. we can mount it just about anywhere; front wheel suspension, on the spoiler of a race car, atop a 24 foot boom pole, on an athlete’s head, and in a puddle to get shots not possible with other cameras. With built in Wi-Fi we can monitor what the camera is seeing from our iPad. The GoPro adds exciting shots not possible with other cameras. How do we move the cameras? We own 2 fluid head tripods, a 6’ dolly, a 10’ jib and a GlideCam. Importance of Post production: With professional color grading we can match the look of different cameras and different settings. This summer you know that you, your family and friends are heading to the beach, lake or pool. You also know that you are going to post photos on social media. How do you get that perfect shot? Here is a great way to get the perfect shot while you are splashing about. Get a GoPro. Put it in video mode, 1080 HD or 2.7k, and do selfie movies. Then go through the frames one at a time and export a still frame. You will have 30 images per second to pick from. It will be a good size for social media at 72 dpi. In the sun the GoPro will use a shutter speed of 1/2000 second which freezes the wave crashing on your head as in the above photo of my son. Just push the shutter button to start recording as the wave slams you. keep recording until you come up for air. Remember to stop recording. Of course you get more dramatic images if you are surfing or water skiing. 2. Select the desired video clip so that it is displayed in the Player window. 3. Scrub through the footage till you see the perfect image and the frozen splash. Place the playhead so that the frame you want to export is displayed in the player window, then selecting Share > Export Still. 4. Then just select the image Name, Location and Size to Export (small, medium, large, & native) and click Export. 5. Check out the location you specified to verify that the image was created. In continuous photo mode you can capture up to 10 photos per second but it will stop at 30 photos, or 3 seconds. It needs a few seconds to write all that data to the SD card. you can miss some good action with this mode. Here are directions from GoPro’s web site. 1. Navigate to settings screen using the ‘mode’ button. 2.Select using the capture button. 3. Press the ‘mode’ button three times, you should notice a small camera icon at the top of the LCD display, a number divided by another in seconds. Eg. 30/1s meaning 30 frames per 1 second. 4. Press the capture button to enter this where you will see a range of settings to choose from. 5. You then choose the setting which best suits what you wish to capture. Video cameras normally use a shutter speed of about 1/50 second which blurs most action. The blur helps to give the illusion of smooth motion. 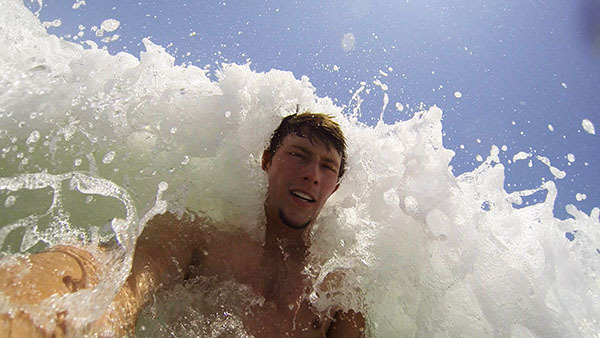 The GoPro may record at 1/2000 second which freezes the water splashing for crisp still photos. They are low res but perfect for social media. If you plan to use a GoPro for social media photos you should buy a floaty ($9), or, I would suggest the “handler” ($29) to keep the GoPro afloat, a must for young children. Be sure to stop recording.